Are people really watching TV? Or are they listening to TV? Recent marketing researches show that many people are actually listening to TV while doing something else around the house. Dubbing allows them to do multiple tasks and still keep track on the onscreen action. 2. Dubbing is suitable for viewers with visual impairment. Many elderly people have problems reading subtitles. Besides, reading subtitles for a longer period of time could lead to a headache, burden and even damage your eyes. It could be very irritating when instead of De Niro’s or Al Pachino’s voices, you are listening to a dubbing actor’s voice, no matter how talented or suitable they are. After all, great actors make the movie what it is and the celebrity voice plays a huge role in that process. Since English is the most common source language for TV and films, many viewers around the world prefer subtitling in order to learn, practice or improve their English language. The same also applies for French, German and Spanish languages too. Many people prefer subtitling as that gives them the ability to develop their language knowledge and skills. Language localization is an expensive process. It’s a business service, after all, even though there is a huge artistic aspect that takes part in this process. As a business service, it’s exposed on all the risks other business services are- cost saving that leads to poor results, wrong choice of dubbing provider, poor voice talent casting, poor voice directing, the risks are numerous. Unfortunately, the results are devastating for a TV program or a movie, which is a subject to huge financial investments and ultimately is not accepted or rejected by the general public. Hard of hearing people prefer subtitling as a content localization method. The alternative is headphones, which disables the other members of the family to watch TV or to set the sound volume on max which leads to the same result and could further damage their hearing. 5. If you want to follow the onscreen action, you cannot do anything else. 6. If you have a visual impairment, watching a subtitled program or a movie is a torture. How to choose between dubbing or subtitling? There are well established tendencies which viewers are accustomed to and that you should research, know and take into consideration when choosing your language localization method. In some countries (Belgium, Holland) content is localized in more than one language. In Belgium, films are dubbed in both French and Dutch. In Holland, films are dubbed in both Netherlands and Flanders. As targeted towards the kid audience, animations and cartoons are almost always dubbed. Animation and cartoons are lip synched. Lip synchronization is a dubbing technique applied in order to match the actual lip movements of the onscreen characters. For you, as a content language localization manager, that means that using this technique will be more expensive and time consuming and that you need to work with a very experienced provider, very professional talent cast and a voice over director. When localizing animation, you cannot make a compromise on quality over pricing or the results might be disastrous. Other used techniques are semi-lip sync and general dubbing (voice over) which are pretty self explanatory. Dubbing vs subtitling: what are the tendencies? Digital television expansion along with IPTV services has solved the issue of personalized broadcast that has been one of the main cons for Television in its battle with the Internet. Television is becoming more interactive on the one side and keeping the advantage that the content is “pushed” to the viewers without demanding any efforts from them, on the other. With the development of broadcast and content display technologies, my strong believe is that viewers will take back the control over the content and be able to choose their preferred language along with dubbing or subtitling as their preferred language localization. Technology has made that possible and soon the language localization process will not be targeted on countries but on language groups. That means that if I am a Bulgarian native speaker living in USA, I will be able to watch “Lost” in Bulgarian through a US cable operator, sitting in my home in New Jersey. Besides, the European Union is working on a legislation which will entitle TV programs to fully localize and deliver the content to the viewers in their native language, no matter in which EU country they live. translations That shouldn’t lead to huge additional localization expenses as large TV networks are localizing their content in multiple languages anyways. So it’s just a matter of targeted broadcast and giving viewers the freedom to make choices. If I should answer the question “Dubbing or Subtitling”, my answer is “Both. 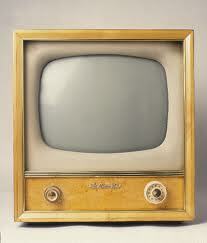 Viewers should be able to choose for themselves as modern technologies make that possible”. I would also say, without any doubt, that in the near future, besides choosing a language, dubbing or subtitling, viewers will also be able to navigate the onscreen action and choose how the action will go and how the movie will end. That’s a different story though and I will soon post another article on that topic. This entry was posted in CONTENT LOCALIZATION, Film content localization, Film subtitling, Film voice overs, Foreign language voiceovers, Nick's experimental media corner, SUBTITLING AND CAPTIONING, TV content localization, TV program voice overs, TV subtitling, VOICE OVER AND DUBBING and tagged dubbing or subtitling, dubbing vs subtitling, Film dubbing, Film subtitling, TV dubbing, TV subtitling. Bookmark the permalink. Interesting, though a bit far-fetched when it comes to the ability of changing a film’s ending… And could you please clarify what you mean by “In the **recent** future”? Were you perhaps refering to a **near** future? Great article……I’ve had some experience in dubbing the voice for a Turkish soap opera translated into English……. and although the work is fun, I always wondered why a TV station (in this case) would spend the extra dollars on voice talent sessions and production. The translations need to be done but I imagine that posting text is much less time consuming and costly. In my opinion, even when the voice actors are great, it still doesn’t quite match the on-camera talents’ ability to convey emotions. This is an interesting dilemma of sorts, nick. On the one hand, I do some very steady documentary work for a couple of European clients. These are always in the form of translation voiceovers, or dubbing. On the other hand, I won’t watch a film from another country if a dubbed version is the only one available. Although I don’t mind it nearly as much if the film is a documentary, as long as I feel confident that it is done by a reliable source. Knowing that the translation is true to the material is extremely important. This holds true wether I’m doing the vo, or listening to it. Great stuff from youR http://www.graffittistudio.com , man. Ive read your stuff before and youre just too awesome. I love what youve got here, love what youre saying and the way you say it. You make it entertaining and you still manage to keep it smart. I cant wait to read more from you. This is really a great blog.